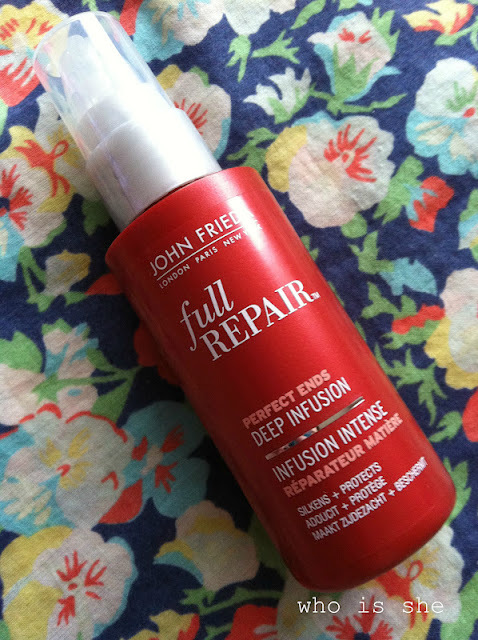 Full Repair is the latest range from John Frieda, and no doubt you will have seen their advertising campaigns on the tv/in magazines as well as throughout the blogging community. Over the last few weeks I have been testing various products from the range and now I feel in a position to provide my thoughts. Last week I posted on their Shampoo and Conditioner and this week I'm reviewing what I call the no-fuss products. Why do I call them no-fuss- simple these products work regardless of whether you blow or let your hair dry naturally. I've always been in the habit of always spraying my hair with heat protector after washing regardless of whether I let my hair dry naturally or blast it with the hairdryer. Normally if I leave my hair to dry naturally my hair ends up with what can only be described as an afro wavy/curly/frizzy mess, since using this my waves have been more defined and more smooth- there is still some frizz, however the product has reduced it significantly. If I use this when blow drying my hair, I find that my hair has a lovely shine to it, and drys more straighter- I still need to use my straighteners if I'm wearing my hair down. The styling spray scent is exactly the same as the shampoo and conditioner but ever so slightly stronger. If I've not used the shampoo/conditioner the scent can't be detected, however if I've used the shampoo/conditioner and this the scent lasts about a good day on my hair. I would definately repurchase this once used up. Personally I think this is one of the best products in the range. As my hair is fine/there's a lot of it, I've never been a fan of serums on my hair, I just feel like they weigh my hair down and make it more prone to becoming greasier quickly. Even though my hair is coloured, I would say its in good condition- I try to only straighten it when I'm going on nights out, and I try to keep my split ends in good condition by getting my hair trimmed every time I get my hair coloured. John Frieda say that this treatment feels like its instantly penetraing the hair to repair damage- and a little bit goes a very long way. They suggest 1-2 pumps for your hair, however I only use one pump- rub between my hands and apply to the ends. 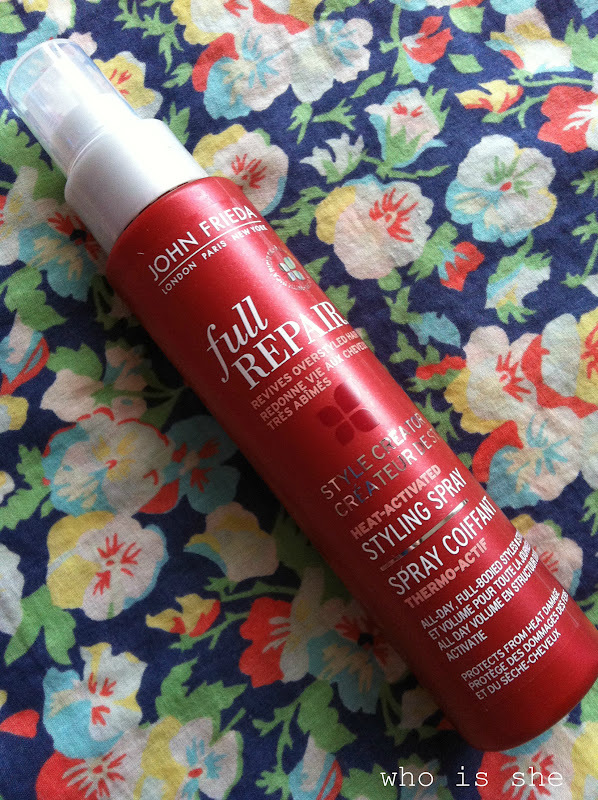 I only use this once a week, and find that it works better when I don't condition my hair. I know that sounds odd, but my hair does have a mind of its own. Considering how little you use on your hair- this will last you a very long time. Both products are priced at £6.99 each and are currently on offer 3 for 2 (mix and match) in Boots.